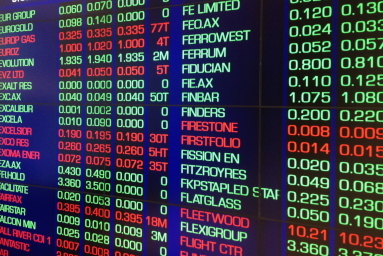 A global asset manager has launched an IPO for a listed investment company which it says will provide SMSF investors with investment exposure to ethical global companies. Morphic Asset Management officially launched the IPO for the Morphic Ethical Equities Fund Limited (MEC) this week. The offer is expected to close on 19 April 2017. Westpac will use its fund incubation business Ascalon Capital Managers, which owns one third of Morphic to invest $5 million in the IPO, Morphic AM said. Wilson Asset Management founder Geoff Wilson will also invest $1.1 million and will be introducing MEC to shareholders in the Wilson Asset Management LIC stable. Morphic AM said it seeks to raise up to $220 million in the IPO and can accept over-subscriptions for a further $55 million. Morphic AM joint chief investment officer Jack Lowenstein said the fund will not invest in fossil fuel, tobacco, alcohol and gambling, deforestation, and intensive farming and aquaculture. Instead, it will invest in sustainability, clean water and air, recycling and future technology. “There is a myth in Australia that having an ethical overlay on your investments means you’re going to underperform,” Mr Lowenstein said. Mr Lowenstein said the LIC will also provide SMSFs with another way of increasing their exposure to global investments, with allocations to international equities still low among SMSFs. “The Australian dollar has been stuck in this mid-seventies range, but in our view it is still somewhat overvalued. The currency effect alone is something we think SMSF investors should be thinking about,” he said. The joint lead managers for the issue are Taylor Collison and Morgans Financial. Macquarie Equities is co-manager. This issue is also available through nabtrade and Westpac Online Investing, Mr Lowenstein said.